Fine apricot sport from the popular variety “Courtier”. Like its parent, this is a fine variety for showing and useful for cutting though blooms are better when protected. Stopping strong growing plants in approx. 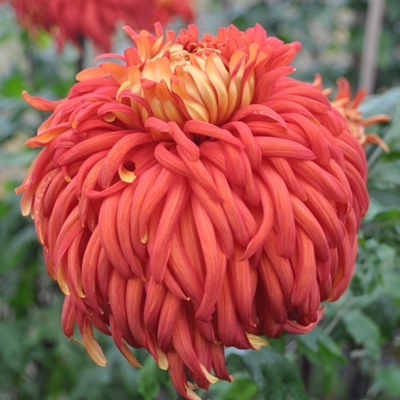 1st May and allowing plants to produce 4 or 5 flowering stems will give flowers in mid September (this is slightly earlier than our 2013 catalogue suggests). Earlier or later “stopping” (the removal of the growing tip) will result in earlier or later flowers. 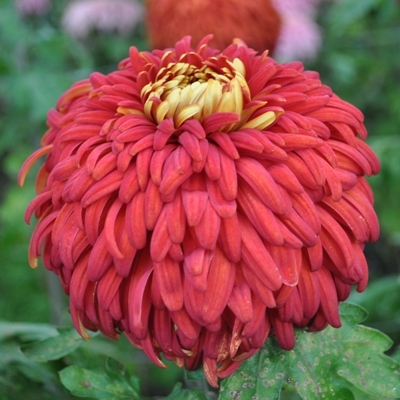 Being a bloom type Chrysanthemum you will need to “disbud” as soon as the central flowering bud in each stem can be seen and the smaller side buds can be safely removed by pinching out. Be careful not to damage the main bud. This is known as “securing the bud”.